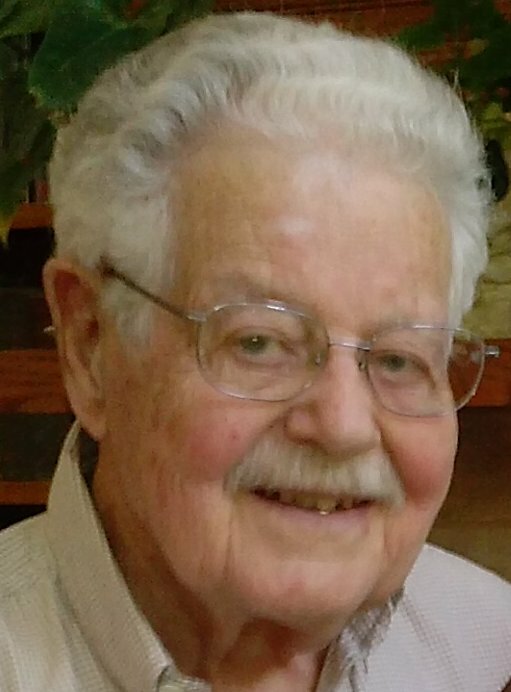 James Clyde Camery, 91, of Wabasha, MN, passed away April, 30, 2018. Jim was born May 2, 1926 in Worthington, MN to Ross and Lydia (Stewart) Camery. Jim graduated from Worthington High School and US Signal Corp. in Mankato, MN in 1943. Jim enlisted in the U.S. Navy in 1944 and served on the USS Bon Homme-Richard aircraft carrier in WWII. Jim married Jessalyn Brinkema in May, 1945. He attended the Electrical Engineer program at the University of Minnesota in 1948. Jim was recalled to active duty in 1950 with the Navy and served in Korea back on the aircraft carrier until 1952. After discharge, Jim and Jess moved to Apple Valley, California where he was an Electrical Engineer instructor for the United States Military. Jim and Jess left California and moved back to Minnesota and settled in Minnetonka in 1957. He worked as an engineer at a number of local bakeries and last worked for Lunds, Inc as chief engineer until retiring to Wabasha, MN in 1990. Jim took up golf in retirement and was a member of the men's league at Coffee Mill Golf Club in Wabasha. He loved the game and the many friends he made. He was devoted to his loving wife, Jessalyn, for 73 years. Jim and Jess had three children and four grandchildren, Jay (Patty) Camery, JoLinda (Rick) Crosby, JoAllyn Camery, and grandchildren, Jaymes, Beth, Trace and Cameron. He was preceded in death by his parents and three siblings, Donald, Lucille and William (Al). Jim's family looks forward to a memorial celebration with family and friends on a date to be announced later.